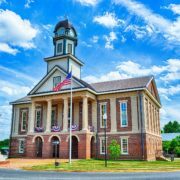 Siler City, NC – What do you call a goat dairy in the middle of Chatham County that serves Sunday dinner with falafel, spelt and chilled melon soup? Celebrity Dairy of course! 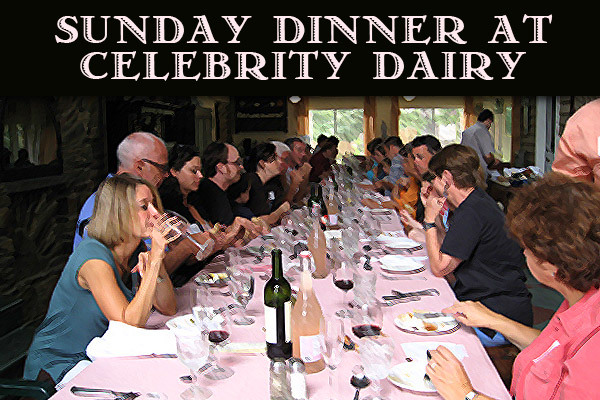 On the third Sunday of every month, Celebrity Dairy holds a special feast. Dinner menus change with the seasons, but always include Celebrity Dairy Goat cheese. Hosts Brit and Fleming Pfann enjoy sharing their home and this 20 year tradition. This month, enjoy a bona fide Middle Eastern Picnic. Sunday August, 21, 2011 from 1:30 – 6 PM. Reservations are accepted on a first-come basis and are limited to around 40 guests. Checks and credit cards are accepted. Dinners are normally priced at $50 – including tax & gratuity. Guests are invited to bring a wine of their choice. The Inn sits on a 300 acre working dairy farm in a simple and peaceful country setting. The 100 or so dairy goats, 40-50 free-range chickens scratching in the yard, and the odd peacock provide a link to days gone by. The Inn’s eight guest rooms are each comfortably furnished in the personal style of a family member who might have lived there a century ago. The Inn also host’s weddings, business retreats, lunches and tours.